Huawei's AirPods-imitating Freebuds earbuds may launch alongside the company’s next flagship smartphone and perform a neat wireless charging trick to boot. The 'Freebuds 2 Pro' can be put in their pillbox case and placed on a wireless charging pad to recharge, according to a new leak. Or users can put the case can on the back of the upcoming Huawei Mate 20 or Mate 20 Pro to refill the headphones’ batteries. The Freebuds 2 Pro can also be charged via USB-C cable, which takes two hours, notes press material acquired by WinFuture. Charging wirelessly takes three hours, though that’s a lot of time and battery drained if you’re using a smartphone to power up your earbuds. The Freebuds 2 Pro (it’s unclear if there will be a basic Freebuds 2 model, or if “Pro” is the new standard) connect to the smartphone over Bluetooth 5.0. The headphones support Hi-Res Audio Protocol for bitrates up to 560 Kbps and manage three hours of battery life, though the case should provide up to 20 hours of charge alone. The report also alleges that the Freebuds 2 Pro can be used to control Google Assistant, which the Huawei Mate 20 Pro will supposedly support, too. The headphones come with noise reduction and use AI tech to distinguish between the user’s voice and everyone else’s. 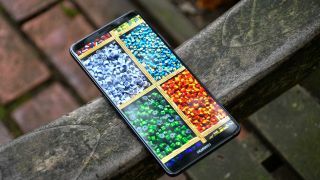 Given that the Freebuds have been packaged with Huawei phones before, like with the Huawei P20 Pro, it wouldn’t be surprising to see the Freebuds 2 Pro introduced alongside the Mate 20 and Mate 20 Pro, which will be formally unveiled on October 16.